Companies looking for an easy way to create visually striking and customisable emails. Bigger companies looking for the most advanced reporting features. Campaign Monitor is a platform which allows you to create email templates to send to your customers. They have focussed on creating an intuitive design studio which can create visually striking emails, with a range of customizability options. 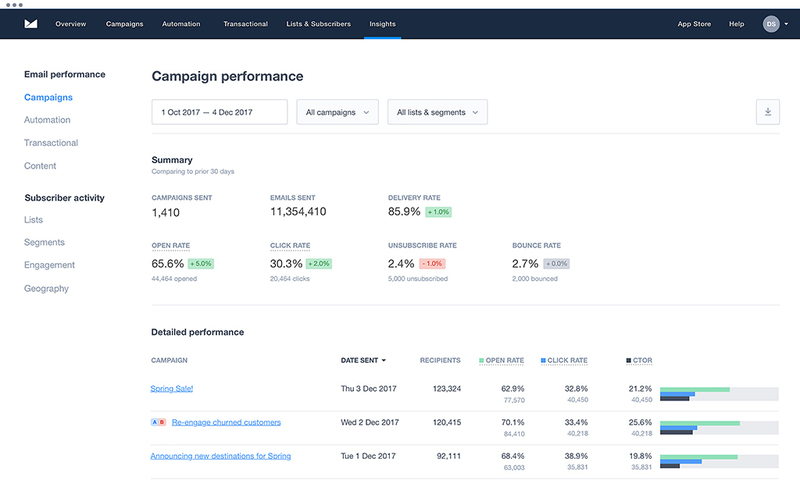 The Campaign Monitor service also offers reports and metrics to show how successful your email campaigns are at engaging customers and creating leads, and a range of features to make running email campaigns easy. Campaign Monitor offer one of the top email marketing solutions for businesses. It’s core strength is the ease of use and email design features. The platform has a fully featured email design builder. It offers a range of prebuild templates to choose from, with images and fonts you can simply drag and drop in. It even supports video, that will play right in the recipient’s inbox. You also have the option to build a template from scratch using HTML. Despite these features, the designer is extremely intuitive and easy to use. This means that anyone can use this service to create engaging emails, regardless of design experience. Once you have created email campaigns, this platform offers a range of support documents to ensure it has high deliverability rates. You can also send out emails to specific customer demographics. The reporting and integrations are not as advanced as some competitor platforms, but the reports do give you visibility over the success of your campaigns as well as A/B testing options. 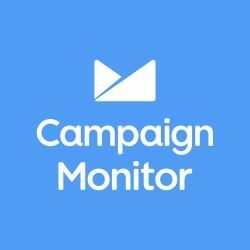 Campaign Monitor is a good option for businesses looking for an easy way to create professional, engaging emails.